There are several different ways to participate with Team T3. Regardless of the program you choose, all T3 athletes receive full member benefits as well as unlimited access to T3’s expert coaches. All members will train and race with the T3 Team! Please review the T3 Membership Options Below. **All billing is done monthly and may be discounted for longer commitment (quarterly) periods. There are NO minimum commitment periods, and you may cancel any time, with a 15 day notice of billing cycle. Be sure to look at the Membership Application forms for payment options. For anyone interested in getting going with Swim Training for triathlons. The majority of the practices are mostly freestyle and include Endurance, Speed and Strength sets and are enhanced using equipment. (paddles, buoy, fins and kick-board) This program allows for unlimited classes per week. Most athletes that join this membership are looking to get coaching and organized swim training from expert coaches. T3 provides an excellent team atmosphere by placing athletes in lanes with similar ability and level. 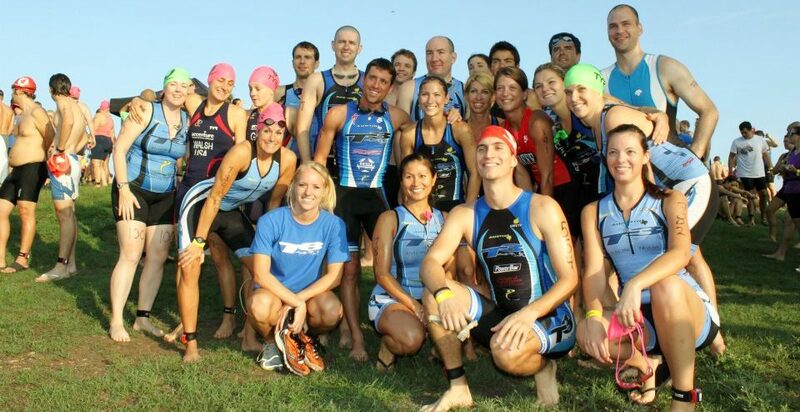 This program is for Beginner-Advanced athletes that are training for all distance triathlon membership. Is for beginner to seasoned athletes that know they want to participate in team classes and have a training schedule provided by an expert coach. Most athletes joining the T3 Sport Training Program are already training consistently on their own and plan on taking things to the next level. With the Sport Membership you’ll receive all the coaching and benefits as the other programs regarding Heart Rate. Athletes will receive a plan provided by one of the expert coaches to make training motivating, fun and easy to follow. Each athlete is provided a Training Peaks-Basic account at no extra charge to the members connecting coach and athlete 24/7. Coaches will provide feedback at practices and also go over training plan details in Athlete/Coach meetings. Athletes that participate in this program usually sign up for races ranging from Sprint, Olympic Distance and may look towards moving up to Half Ironman – Ironman Distance races. All practices on the weekly training schedule can be attended with this program and must meet with a Team T3 expert coach once per month to make sure that success is met at training and races. This program is for seasoned to advanced athletes focused on improving performance with extended coaching techniques. This membership also includes Unlimited practices in the weekly training but will include two meetings per month to discuss training analysis more frequently. Athletes in the performance membership will use Power base equipment in cycling and Pace Charts in running training. Athletes will receive a plan provided by one of the expert coaches to make training motivating, fun and easy to follow. Each athlete is provided a Training Peaks-Premium account at no extra charge to the members connecting the coach and athlete 24/7. Athletes that participate in this program usually sign up for races ranging from Sprint, Olympic Distance and may participate in at least one Half Ironman – Ironman Distance races. All practices on the weekly training schedule can be attended with this program and must meet with a Team T3 expert coach twice per month to make sure that success is met at training and races. This program is for veteran athletes focused on improving performance with expert coaching techniques. This membership also includes Unlimited practices in the weekly team training schedule but will include two meetings per month to discuss training analysis more frequently. Athletes in the performance membership will mix some personalized practices and team training to fulfill training needs. Power base cycling equipment is necessary and Pace Charts in running training will be provided. Athletes will receive a plan provided by one of the expert coaches to make training motivating, fun and easy to follow. Each athlete is provided a Training Peaks-Premium account at no extra charge to the members connecting coach and athlete 24/7. *Athletes do not need to be professional triathletes to sign up for this plan. Only available to current athletes that are promoted to this membership can switch to this training package. Must be a T3 athlete for at least one year prior to advancing to this membership. Athletes trying to attain a specific time goal or place that will qualify for a higher level of competition are examples of athletes advancing to this membership. Personalized coaching will utilize specific zones and power metrics to reach specific training goals. There is a different level of expectation from the athletes who register for this coaching options so be sure to speak to the coaching staff before applying for this membership. **All personal coaching contracts are set on an agreed term by both parties and have a $100 early termination fee.